It has been several days since we were in Japan. As a result, we have yet another innovation gone wrong. This time it is the capsule. Maybe it is because I have a Queen sized bed, maybe it is because I enjoy the thought and process of breathing, but capsules scare me. I’m a pretty big huge guy. I would feel mighty claustrophobic in one of those rooms. I really should be speaking very little here. My roommate and I shared a 145 square foot dorm our freshmen year. Man was that small. Not even enough space to lose your ideas in. 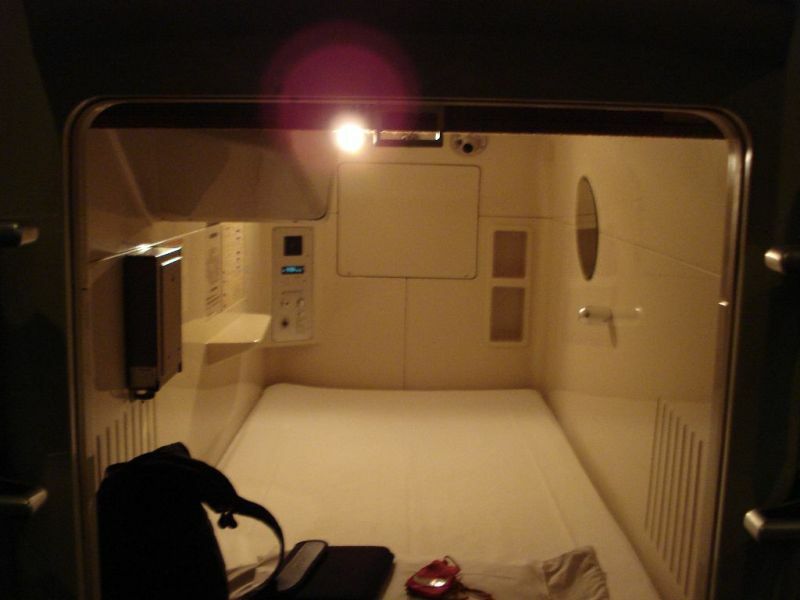 Anyways, maybe they are more comfortable then I imagine, but the thought of a capsule or a regular room. Sorry Japan, I am choosing a regular room every time. I ran across a blog reporting of a hilarious restaurant today. Of course, the restaurant is in Japan. The restaurant is called Mayomayo. That is right. Nothing but mayo. Unbelievable, believe it. The restaurant located in Nagoya even allows you to keep mayo for up to a month if you are unable to finish off a whole jar. This sounds like a gastronomic mess. Two horrific pictures to share. The top picture is of the mayo storage area. 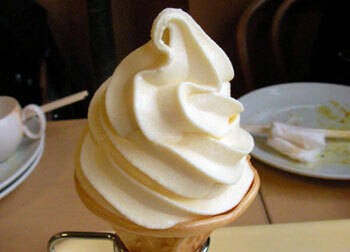 The lower picture is of course of mayo ice cream. This is from a comedy show in Japan. It is hilarious. People have 10 seconds before the whole bathroom comes up out of the ground. I can’t believe this. Japan is back again. This time with a watermelon that is the price of a used car. The watermelon price sets in at $6100. The watermelon is of the Densuke variety. When interviewed, the farmers said that the watermelon was sweeter than the rest with a thick black skin. Maybe just maybe I’ll go into prestigious watermelon growing for the remainder of the year. Guess I don’t know yet. 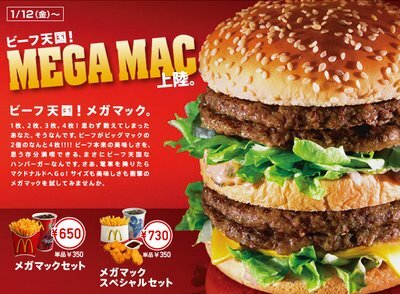 Japan is back at us again with the mega mac. The Mega Mac is a huge sandwich from McDonald’s. It packs 754 calories and 45 grams of fat. I’m guessing that mega sandwich eating was not your idea of Japan, but now it is. Hopefully you can say, “I’m full” in Japanese. To more food innovations gone wrong! I recently searched inventions. This is the 3rd image I found. Apparently Japanese men are burning their faces beyond belief. Therefore, I present to you the Ron Popeil “Japanese Shogun Burned Noodle Protector. The actual name is the Chindogu. Meant to protect from noodle juice and almost 100% effective in preventing any second dates. This had to be shared with the world. Stupid Ideas or Are They? Where did Japan Go Wrong?